Have you got any sporting events coming up and need sporting event transport? Make the right call and choose Bouden Coach Travel for your transport! It would be our pleasure to accommodate you on your journey to and from any destination whether it be UK based or international. With our ever expanding fleet of vehicles, Bouden Coach Travel specialises in getting you to your sporting event hassle free, on time and in style. 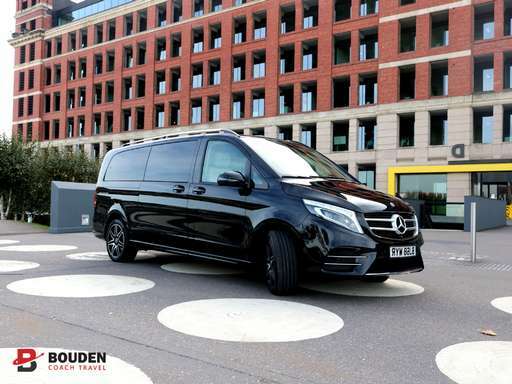 We have vast experience in accommodating groups on their journey to and from sporting events, we supply cars, minibuses MPV’s and coaches for many different companies and clients. Call 0800 112 3770 and speak to one of our specialists about your sporting event transport. CLICK HERE for an online quotation. Taking a walk down memory lane some of the awesome experiences we’ve had transporting clients to events include The Cheltenham Horse Racing Festival where our vast fleet of vehicles provided the perfect form of transport for all of our passengers. In 2019 we are offering all new race day packages which include executive and luxury transport along with tickets and optional drinks packages on board. Call us on 0800 112 3770 or email [email protected] for more information or CLICK HERE for an online quotation. Our vehicles have been travelling across the country during the season transporting passengers to many different major football matches. We can cater to all requests both big and small offering food or drinks packages and even discounted ticket packages for our clients. With the end of the season near take a look below for 2019 fixtures, do any of them take your fancy? With the six nations coming up we can’t wait for rugby season and to transport you to your selected game, take a look HERE for all Rugby fixtures in 2019. We can even book your accommodation and ticket packages. Bouden Coach Travel are lucky enough to have Edgbaston Cricket Ground right on our doorstep, for major games such as ENG VS AUS and ENG VS IND. Why not book your cricket transport and tickets packages through us and save £££ call us on 0800 112 3770 and speak to one of our lovely travel specialists about how we can accommodate you. Here at Bouden Coach Travel we always aim to go above and beyond for our clients which is why in 2018 we aim to offer you only the very best sporting event packages at a very competitive price. We can even provide tailored food and drink packages for on your journey? Whether it be simple breakfast or lunch requirements or something a little more special catering for any preference or dietary needs you may have. Bouden Coach Travel are you one stop shop for sporting event transport. Why Choose Us To Take You To Watch Your Favourite Team? If you need safe, fast and efficient sporting event transportation, Bouden Coach Travel should be your first port of call. Call us on 0800 112 3770 or CLICK HERE for a quote on your sporting event transport.